Assistant professor, Department of Anesthesiology-Institutes of Medicine, (Tribhuvan University) Teaching Hospital, Maharajgunj, and Kathmandu- July 2009 till date. 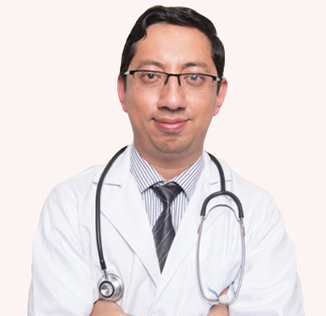 Consultant intensivist & Anaesthesiologist at Alka hospital Pvt.Ltd, Jawalakhel, Lalitpur- Jan 2010 to Dec 2017. “Education Day Medal” for appreciate works in education sector awarded by ministry of education or the occasion of National Education Day 2010. Ram Ji gautam Scholarship award -2009- highest marks in MD Anaesthesiology program of maharajgunj medical Campus of Institute of medicine, TU. Travel grant award at the 12th annual Neurocritical care Society meeting Sep 10-14,2014 at seatlle,Washington,USA. Letter of appreciation & felicitation by Nepal Hemophilia Society (NHS) for significant contribution for the treatment of patients with Hemophilia on april15, 2015 at Kathmandu, Nepal. Recognized by the President of Neurocritical care Society as a recipient of the 2015 Presidential Citation award at Scotland, A2, US on 7th Oct 2015. Recognized by the President of Neurocritical care Society as a recipient of the 2016 Presidential Citation award at National Harbor, MD, US on 16th Sept, 2016. Recipient of Inaugural EMUGS (Emergency Medicine Ultrasound Groups) Developing country Annual POCUS (Point of care ultrasound education scholarship 2017 …CD-CAPES) Australia. Recognized by the president of the Neurocritical care society as a recipient of the 2017 Presidential Citation award at Big Island, Hawaii, US, October 2017.